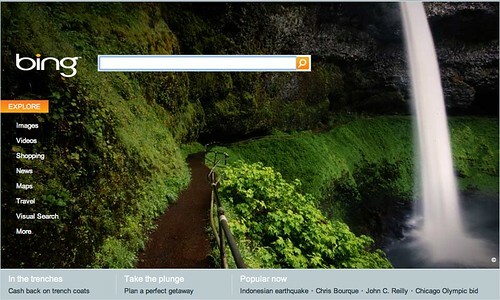 15 days ago, Bing launched visual search, if you haven't heard about it, click the link and watch the video demo. 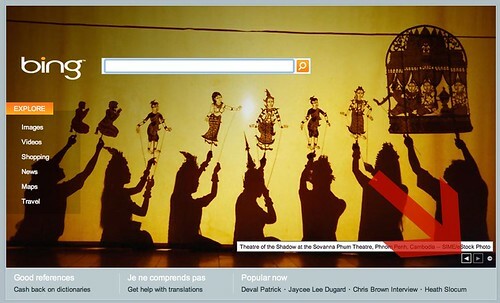 Today, people are noticing that Bing has added a link to visual search directly from the Bing home page. So I compared a Bing home page image I had from a month ago, to what I see there today, and I see Bing has added two new links. They added the visual search link and also a link to "more."